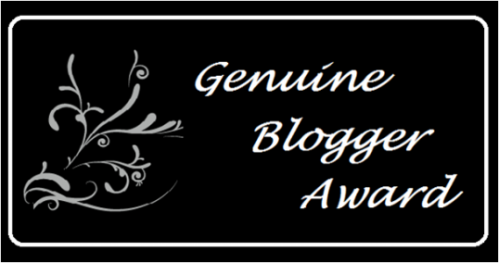 Wow, I have just been graced with another blog award by blogger friend Michael . Thank you so much for considering me for this award Michael. I’m still overwhelmed by it all. The beauty about this award is that it doesn’t have any rules. So I’m just going to nominate some bloggers that have blessed my mind, my heart, my soul with their posts. Check these ones out because I’m sure that they will also bless you. Sherline, I too love joyce and poeticjourney and willofheart! Congratulations on this award, which your blog definitely deserves. God bless! I am sorry about that. I realized my mistake when it was too late. Congratulations on your award Sherline! People really appreciate your labor of love and your posts are just that…blessing everyone who stops by. I for one am glad you received this recognition. As a sister blogger, I know the time you must put into continuing to post the inspiring and thought provoking words you do. Keep inspiring your readers and keep writing what God puts on your heart, because it’s touching lives and making a difference; that’s what this journey is about. From my heart to yours….so no need to post this, just a note from me to you. Congratulation For the Award !!!!!!!!!!!!!!!!!!!! Congratulations Sherline, thank you so much for nominating me for this award, wow, it is an honor for me and thank you so much for supporting my blog.